Our accredited innovation champions programmes are designed to engage your workforce. It is critical to consider how to inspire and encourage participation BEFORE implementing innovations systems and processes. We often see failed ideas management processes due to a ‘Systems focus’ and lack of experience in governance for example. Our goal is to create ‘communities of action’ and tribes of innovation champions. Our programmes engage at every level from those joining the business as apprentices and graduates, to those leading the business. We work with you to integrate our solutions with existing systems and processes for training and culture, working closely with your operational management on content, timing and engagement processes. Programme support as an innovation partner often include a mix of accredited training for those taking on more formal roles in the community, alongside best practice visits, expert talks, lunchtime sessions, and development of engaging content for appropriate internal communications channels. Our work is often 'sponsored' by management enabling us to provide a range of added value support. As provocateurs, +ADD teams are often tasked with specific projects, but also seek to encourage your internal community to develop their own ideas, conduct experiments, share progress by delivering talks, workshops and skills development programmes on how to 'be' innovative everyday (See +ADD Learning). We also help senior management build better support processes and to overcome internal barriers such as conflicting procurement systems and lack of clear commercialisation and IP management processes. More formally, where there are practical constraints such as lack of internal resource, we can drive transition of specific ideas into formal pilots or funded/ supported developments. We seek to encourage connectivity - acting as an animator to enable your organisation to develop its on distributed network inside the organisation and as a boundary spanner to the external enterprise and innovation communities. Essential to success in establishing contemporary innovation ecosystems is the distribution of responsibilities and engagement across different departments and sub cultures. This programme is designed to supplement +ADD's work in developing your organisations agile innovation capacity and includes a formal accredited course. The programme supports knowledge sharing and community development, creating a common shared platform of understanding for the organisation. We offer a range of formally certified courses designed to enable development of skills in agile and contemporary innovation at every level of the organisation. Our courses are led by experienced trainers and practitioners, supported by senior academics and expert speakers. In collaboration with the Institute of leadership and Management our courses are accredited and offer NVQ level 3-8, as well as certified units towards postgraduate qualifications in business management. Our courses are designed to offer flexible blended delivery at your convenience onsite and include lessons, workshops, self guided reading, collaborative project works, video’s, gamified learning, expert talks and knowledge checks. The courses are practically designed to minimise commitments outside of the sessions for busy staff. Our philosophy dictates that we seek to build agile innovation and design led thinking skills in your organisation through all engagements. Our community includes educators, trainers, coaches who work to reinforce 'learning by doing' with formal training programmes designed to embed innovative and enterprising culture. CREATE YOUR OWN BRANDED SERIOUS LEARNING GAMES! Our team have been involved in a range of learning initiatives focussed on business and enterprise education. We have also developed our own serious learning platform called Bright Games. 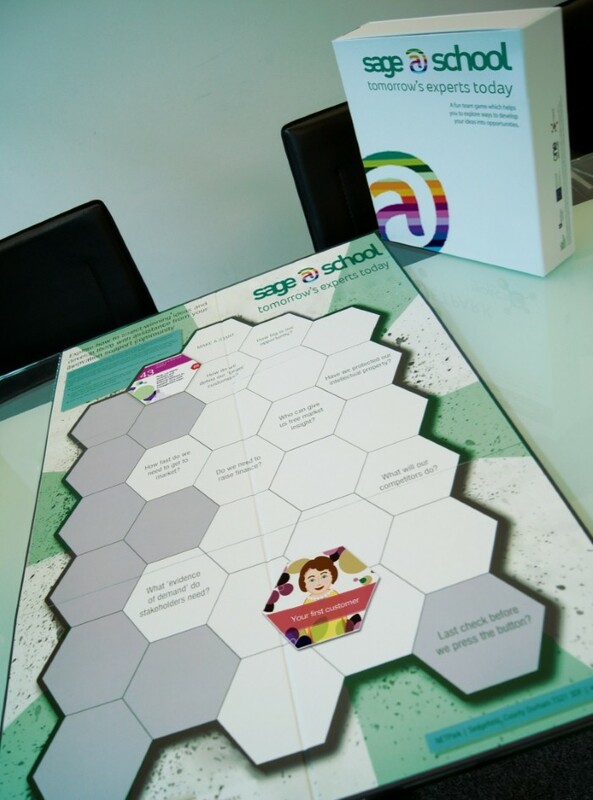 We have developed the platform to enable educators, business and enterprise practitioners to capture knowledge of best practice in thier own games to support sharing, exploration and learning. Using scenarios and encouring groups and individuals to explore. We have developed a serious learning game platform that enables rapid development of online and offline games. Proven engagement: Our games have been played by enterprising children, the institute of business advisors, MBA students, and industry specialists from a wide range of industries. Works well in broader syllabus: Our games can be easily used delivered as part of broader provision being only 45 minutes to 1.30 in duration. Our online games can be completed in your own time but are not designed to be longitudinal unless revisited. As part of the delivery your scores and approach are saved as a pdf report which can shared directly or exported to third party learning spaces and shared as collaborative or competitive score tables. Uniquely the platform provides a combined group learning and personal exploration tool offering both a physical and online experience. The ability to personally explore your own scenario's, ideas and opportunities using the same game online. Fast development: In fact the game system can be deployed in any scenario in which there is a principal goal and critical path of activities and decisions which are constrainied by time, money, people and other resources. Practically speaking, using the Bright Games system, a new serious learning game can be forged and deployed within 8 weeks and through delivery of two game creation workshops.